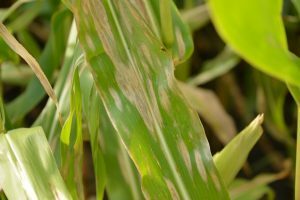 Northern Corn Leaf Blight symptoms on a corn leaf. The Wisconsin Field Crops Pathology crew has scouted corn from the southern portion of Wisconsin, to as far north as Spooner. Overall, disease levels are low. We have run into northern corn leaf blight (NCLB) in fields in the southern and central portions of the state. In most cases incidence was in the 10% or less range, with severity in the 5-10% range on leaves below the ear leaf. We have also had several samples arrive in the diagnostic clinic and confirmed with NCLB. For more information on managing NCLB or other corn diseases in Wisconsin, see my previous post here. Goss’s wilt has been confirmed in Grant Co. via the diagnostic clinic. Other samples have also been submitted that were suspected for Goss’s wilt. However, these turned out to be NCLB. For assistance in differentiating these two diseases, click here to view a PDF quick diagnostic guide. Common rust remains super common.  I have received several questions about spraying fungicide to control common rust. For field corn hybrids, no fungicide will be needed. In any specialty corn situations (inbreds for seed production, sweet corn, etc.) spraying for common rust might need to be considered. Most field corn hybrids have excellent resistance to common rust and will yield well, despite finding some pustules on a corn plant. 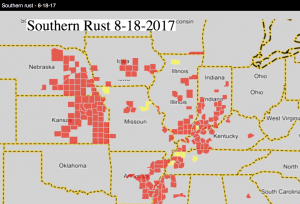 Southern rust has not yet been found in Wisconsin. 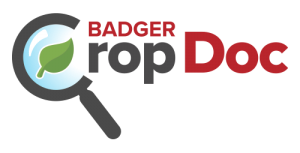 However, it has been reported very close to Wisconsin (http://ext.ipipe.org). You should continue to be diligent in scouting for this rust disease. Yield reductions can be substantial if the fungus moves in over the next several weeks. Fortunately, our weather systems have been moving into Wisconsin from Canada and Minnesota. 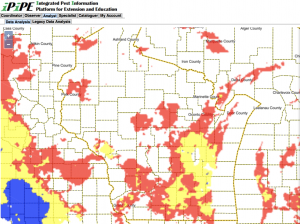 This has likely slowed progress of the southern rust fungus from moving into Wisconsin. Click here to view a great new resource on southern rust by the Crop Protection Network.